East Lansing DUI Attorney | Mid Michigan DUI Attorneys | Foster & Harmon P.C. Do I Need an Estate Plan if I Have Few Assets? What Is Estate Planning and Why It Is Important? Have you been arrested for a DUI or Drunk Driving in the Greater East Lansing area? 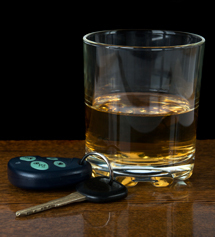 Mid Michigan and East Lansing DUI Attorneys at Foster and Harmon P.C. will experience and integrity when defending your DUI case in the greater Lansing MI area. It's our courtroom experience that will make the difference in your DUI case! Our East Lansing Drunk Driving attorneys will defend all of your rights to the fullest. Time is vital when dealing with a DUI related offense. Hiring an experienced East Lansing area DUI attorney quickly will help ensure that you are protected from the outset. DUI or Driving under the influence can either refer to driving under the influence of alcohol, driving under the influence of drugs, or driving under the influence of a combination of liquor and drugs. DUI is the most widely used term for Drunk Driving. DUI or Driving under the influence of alcohol or drugs does not only pertain to cars or trucks. You can also get a DUI for operating a boat, motorcycle, snowmobile, moped or a bicycle! The standard for what it means to be under the influence in Michigan is better explained on our Michigan DUI Laws Page. It is important to contact a DUI lawyer in your area that knows DUI law if you have been accused of DUI or a related drunk driving offense. Our Mid Michigan and East Lansing DUI Attorneys handle all DUI charges including; OUIL, UBAL, OWI, DWLS, 1st, 2nd and 3rd DUI offenses, driving on a suspended license, open alcohol, traffic tickets, license restoration and appeals. 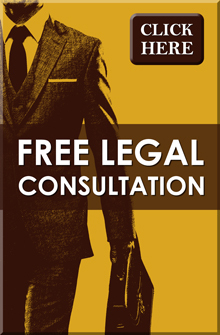 We offer free initial phone consultations. Speak to a DUI Attorney now at 517.337.4600! Copyright © 2019 Foster & Harmon P.C. | All Rights Reserved.